What makes a good parent? We can read a million books for answers on how to keep our children happy and healthy. But what truly makes some parents have better relationships with their kids, while others struggle through difficult situations? One of the most important qualities of having a good relationship with your child is the ability to listen. Kids need to feel they are seen and heard. They need to know that they matter above everything. Healthy children grow in homes that allow individuality and confidence. 1. Awareness of a child’s emotional state and a connection to them. Sometimes, being aware of your child’s feelings can be enough. At other times, it might not be so easy. Children mask their feelings through their actions at times, especially if they feel that they aren’t being heard. For example, they may throw a tantrum for something as simple not being able to watch a television show, but the emotion might be triggered by an event that happened at school that day. Emotionally, they cannot pinpoint what happened and they play on those stored up emotions in other ways. It’s up to us as parents to truly notice and listen to what they say and do. Children need to know that they can come to us anytime. They have to believe that we hold them above everything else. When they are secure in this awareness, they exude self-confidence. But, like everything else in their surroundings, you cannot raise a confident child if you, yourself, aren’t showing confidence, because children pay attention. 2. Children want to know that they can make their own decisions. Our personality is ingrained in us from the moment we are born. We are molded by all external and internal experiences. Our children learn from their surroundings. They are constantly capturing everything around them. But, they need to feel that even when you tell them to do something, that they are in charge of their decisions. This is why when you tell your child not to touch the hot stove because they will get hurt, he may still touch it. He learns through his own experience. They have to believe that they are individuals with the ability to do what they can and pay consequences. One of the most valuable lessons we can teach our children is independence from early on. They also have to learn that there are good and bad decisions. Sensory experiences begin to play a role in development from the moment of birth. Allowing your child to experience without judgment is invaluable. It’s important to demonstrate support. This isn’t about letting your child do everything they want without consequences and actions. It’s about teaching them right from wrong and always discussing their behavior and actions. Children who are raised in nurturing environments are more confident and secure. They are capable of dealing with obstacles in the future. Allowing your child the opportunity to feel that they can make decisions is healthy and opens up a channel of trust and communication with you as the parent. The external world can be a bombardment of overload for our children. Making time to sit with them on a daily basis for a few minutes and check in is priceless in their upbringing. 3. Setting boundaries is important. We cannot give into all of our child’s wishes. Dr. Gottman believes that there are healthy ways of saying “No” that will help your child learn. If your child wants a toy but you can’t buy it for him, there is another way than just saying, “No!” You can express how great the toy is and perhaps at a later time it can be something that he may be able to get. You can talk about the toy on his level of awareness without dismissing his desires. You can express to him that just because you cannot buy it at this time, it doesn’t diminish the value of his request. This approach is allowing him to witness that he is heard and seen. You aren’t devaluing his desire, but adjusting it to this reality that right now it’s not possible to buy that toy. A child who is given attention, even when he’s not getting what he wants, learns to overcome anything. He recognizes that not everything revolves around him. He grows up working for what he wants. 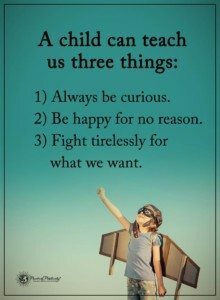 We, as parents, tend to give into the tantrum and the crying because it’s easier than talking to the child, and allowing him to understand why he cannot have what he wants at the moment. Substituting the art of listening with things is not teaching face value. Kids are smart. They learn the art of manipulation quickly. They know that with a few tantrums they can get what they want. The objective is to carefully pick those opportunities to sit with your child and explain that the behavior is not going to provide them what they want. Negative reinforcement is unacceptable. Children respect this. They need structure and assurance in that their parents are always able to provide a place of familiarity and love. There is not one parenting manual for every child. What works for one doesn’t necessarily work for another. But, the ability to speak to your child in a loving and nurturing way helps the future relationship of both of you. Opening up the lines of communication starts from the moment your child is born.